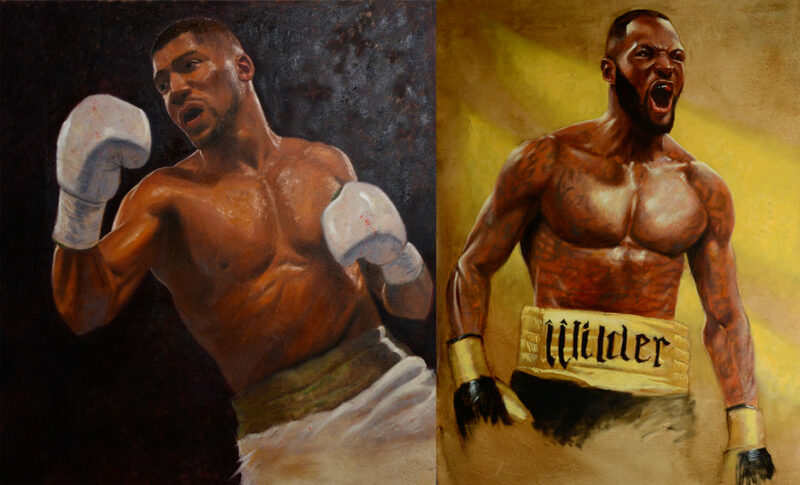 Anthony Joshua vs Deontay Wilder Boxing Painting Art by Joel Barnett. Anthony Oluwafemi Olaseni Joshua, OBE is a British professional boxer. He is currently a unified world heavyweight champion, holding three of the four major championships in boxing: the IBF title since 2016, the WBA title since 2017, and the WBO title since 2018 . Deontay Leshun Wilder is an American professional boxer. He has held the WBC heavyweight title since 2015, and in doing so became the first American world heavyweight champion in nine years, which was the longest period of time in boxing history without an American heavyweight champion.